Stubb's Mopping Sauce is the real deal, BBQ fanatics! If you ever watched Stubb hard at work, bbqing meat on the pit, you'd likely have seen him with a short-handled mop in hand. Stubb would gracefully 'mop' the meat with a special basting sauce as it was cooking to keep it moist and tender. 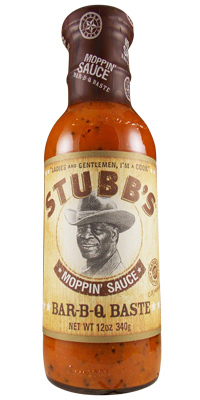 So use Stubb's Moppin' Sauce, just like Stubb! 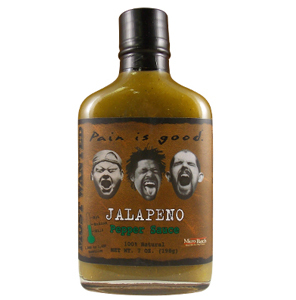 All Natural Gluten Free Ingredients Water, Soybean Oil, Distilled Vinegar, Salt, Paprika, Corn Starch, Spices, Contains Less than 2% of: *Garlic, Sugar, Tapioca Dextrin, Lecithin, Citric Acid, Xanthan Gum, Guar Gum.